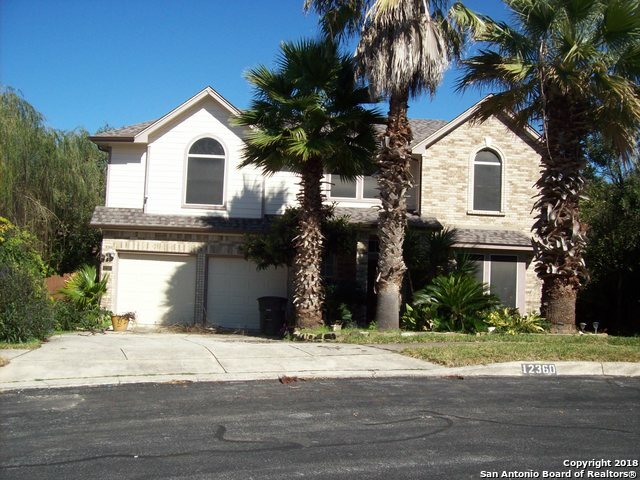 All HART RANCH homes currently listed for sale in San Antonio as of 04/25/2019 are shown below. You can change the search criteria at any time by pressing the 'Change Search' button below. "3 Car Garage, Inground Pool, 4-Bedroom Home Located On A Corner Cul-De-Sac In Lovely Hart Ranch! High Ceilings, 3 Living Areas, Open Floor Plan, Art Niches, Walk-In Pantry, Large Utility Room, Crown Moulding, Four Sides Brick, Mature Trees, Dual Zoned A/C And Much More!! Downstairs Master Suite w/ Garden Tub, Gourmet Kitchen W/ Granite Counters, Built-In Appliances & Breakfast Bar That Open To Family Room With Fireplace. Also, The Community Has A pool, Cubhouse, Basketball And Playground for "
"Great location, 4 bedroom, 3 full baths, open floor plan with soaring ceilings, fireplace in living room, bonus florida room on a cul-de-sac backyard. Kitchen recently remodeled, including granite counter tops, new carpet has been installed throughout. Beautifully landscaped with installation of all new sod in front and backyard. Easy to show....take a look today." 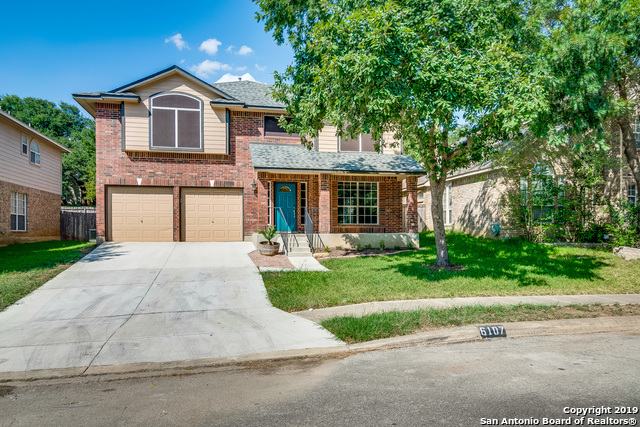 "This San Antonio two-story offers a loft, fireplace, stainless steel appliances, granite kitchen countertops, master bathroom with separate tub and tile-surround shower and sitting vanity, backyard patio, and a two-car garage. Upgraded features include new carpeting and tile flooring and fresh interior paint. Community pool, clubhouse, and park are part of the HOA. Home comes with a 30-day buyback guarantee. Terms and conditions apply." 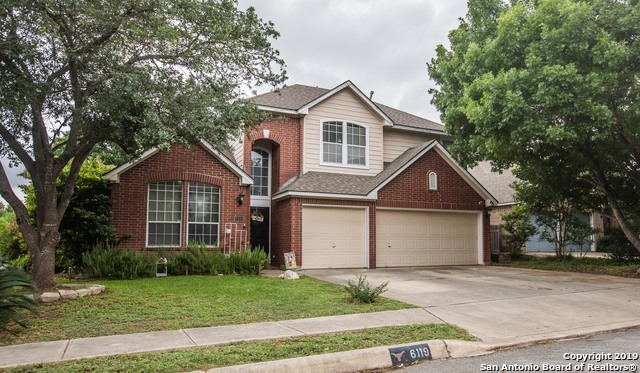 "This San Antonio open-layout home offers a kitchen island, a master suite with walk-in closet and separate garden tub and shower, an uncovered patio, a fireplace and a two-car garage. Upgraded features include fresh interior paint. Common area maintenance, access to a community pool, and a children's playground are part of the HOA. Home comes with a 30-day buyback guarantee. Terms and conditions apply." "BEAUTIFUL ONE STORY HOME WITH 3 BEDROOM 1 OFFICE 2 BATH IN HIGHLY DESIRABLE HART RANCH SUBDIVISION. CONVENIENT ACCESS TO IH-10, CLOSE TO UTSA, USAA, MEDICAL CENTER, LA CANTERA, THE RIM AND MUCH MORE. GREAT SCHOOL DISTRICT! THIS WELL MAINTAINED HOME HAS AN OPEN FLOOR PLAN, SPACIOUS LIVING ROOM WITH FIREPLACE, ISLAND KITCHEN, MASTER SUITE W/LUX BATH AND WALK IN CLOSET. TILED & LAMINATE FLOOR, NO CARPET. LARGE DECK, MATURE TREES."